The solo release of this Friday, Badla is all set to hit the screens with good buzz among the audience. 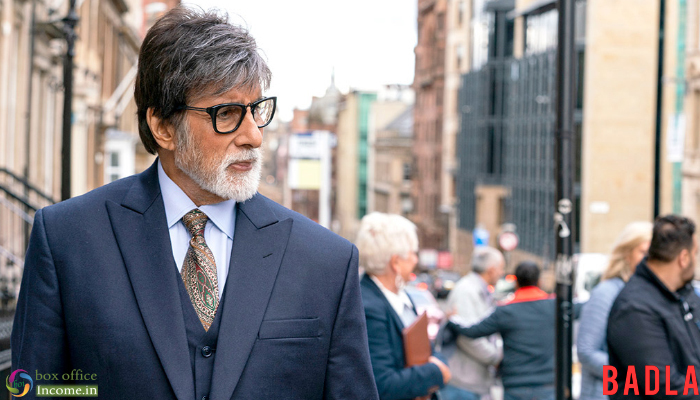 Directed by the ace filmmaker Sujoy Ghosh and written by Sujoy Ghosh and Raj Vasant (Dialogue), it is a Hindi crime thriller drama starring Amitabh Bachchan and Taapsee Pannu in lead roles. Although the film has created good buzz among the audience with its promos that projects a good score at the box office but unfortunately Ajay Devgn’s Total Dhamaal and Kartik Aaryan’s Luka Chuppi still have a strong hold over the audience, which will definitely interrupt the run of Badla. That said, this one is a standalone affair and is basically an official adaptation of a Spanish film (The Invisible Guest in English). That film was a fantastic thrilling entertainer with good dose of drama and if Sujoy manages to bring the same flavour in Hindi then he has a winner in hand. So after considering all the facts and figures, Badla seems capable to open in a range of 3-4 crores at the domestic box office. Definitely, it could take a solid jump over the weekend if audience reacts in favor. Alongside the lead actors, Badla has a strong supporting cast that includes Prakash Raj, Pankaj Tripathi, Sanjay Mishra. This can pull more audience for the film in multiplexes.